We just watched Nitro Circus on Netflicks on Father's Day (Dad's choice) and everyone enjoyed the extreme tricks. They are doing a LIVE US Tour but so far there's not a visit to Chicago listed. In the mean time, if you want to see some extreme BMX bike flips and tricks this month you're in luck. 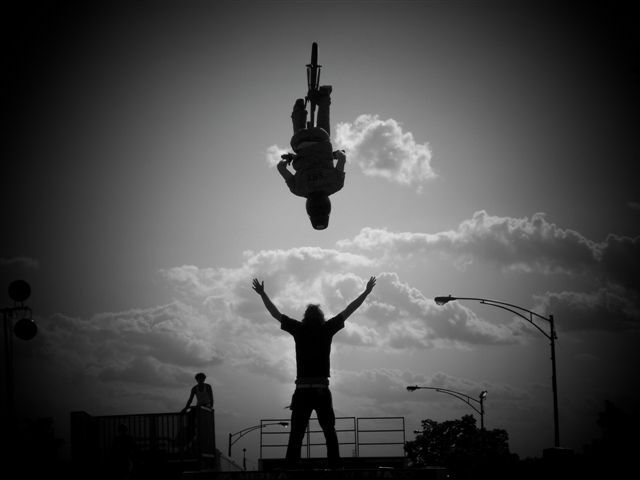 Visitors to MB Financial Park at Rosemont will enjoy summer thrills with the arrival of the King BMX Stunt Show. King BMX Stunt Show riders have amazed crowds all over the country with their bicycle performance that features high-flying aerial stunts such as back flips and tail whips. These mind-boggling technical maneuvers will be executed on the ground and ramps that will be set up and personalized to the terrain of MB Financial Park. Friday June 28: 7 p.m., 8:30 p.m. and 10 p.m.
Saturday, June 29: 4 p.m., 7 p.m. and 10 p.m. SPEND THE SUMMER IN ROSEMONT! This summer, MB Financial Park at Rosemont will be abuzz with the ultimate in dining, entertainment, charity events, and a free summer music festival. The Village of Rosemont will host a free, summer-long music festival Rockin’ in the Park that begins June 6, and King BMX Stunt Show rolls into MB Park June 28. The 2013 Rockin’ in the Park festival will be a summer-long concert series, beginning on Thursday, June 6 and continuing through Thursday, August 15. The festival will feature eleven live bands, fireworks and food and beverage tents on the great lawn in the center of new MB Financial Park at Rosemont. Throughout June, July, and August, there will be a variety of live music including 7th Heaven, Hi Infidelity, Kashmir, Spazmatics, Arra, Libido, Funk Circus, 16 Candles, American English, Modern Day Romeos, Infinity and Breakfast Club. On June 6, July 3, and August 8, a spectacular fireworks show will directly follow the accompanying music act. Admission is free, parking is free with validation and outside coolers cannot be brought into the park. Thursday, June 27: Spazmatics – Bringing all the awesome sounds, styles and way cool dance steps from the 1980's, the Spazmatics recapture all the best of the worst. Outstanding musicianship combined with creative flair and style makes for an evening of pure energy and entertainment, complete with skinny ties, Brill Creamed-hair and horn-rimmed glasses. About The Village of Rosemont, Illinois: Rosemont, Illinois, Chicagoland’s business and entertainment suburb, is conveniently located five minutes from O’Hare Airport and twenty minutes from Chicago’s downtown. Rosemont is home to the Donald E. Stephens Convention Center, a wide variety of hotel and dining options, the Allstate Arena, the Rosemont Theatre and a host of entertainment and retail venues including MB Financial Park at Rosemont. Rosemont continues to grow and evolve based on the new vision of Mayor Bradley A. Stephens. The newest addition to the Rosemont community, set to open in August 2013, will be the Fashion Outlets of Chicago For more information visit www.rosemont.com. About The MB Financial Park at Rosemont: MB Financial Park at Rosemont is a 200,000 square-foot entertainment and dining complex that will house eight venues offering upscale international cuisine, live music and comedy, state-of-the-art film, bowling and more. Conveniently located near O’Hare International Airport, MB Financial Park at Rosemont is easily accessible from Chicago as well as the suburbs. The address is 5501 Park Place, a new looping street situated west of River Road between Bryn Mawr and Balmoral Avenues. A 20-minute drive from Chicago’s Loop, MB Financial Park at Rosemont is walking distance from the Donald E. Stephens Convention Center, the CTA Blue Line Rosemont station and Rosemont Theatre. Convenient parking is available. About Charles Tillman Cornerstone Foundation: The mission of the Charles Tillman Cornerstone Foundation is to provide opportunities and resources to children and their families who are in need. Since 2005, Charles Tillman's charitable efforts have impacted the lives of over one million Chicago-area children. For more information, please visit www.charlestillman.org. About King BMX Stunt Show:King BMX Stunt Shows is a full service BMX entertainment company. 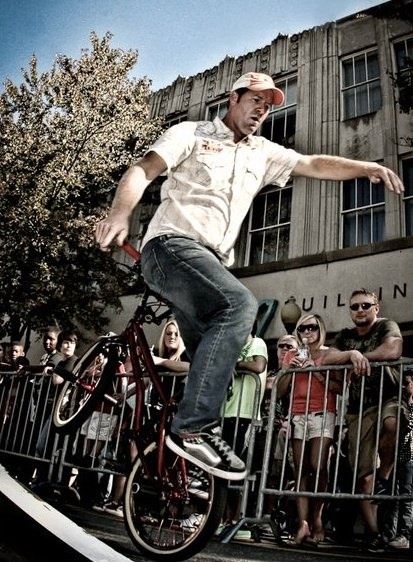 Its founder, Kieth King, has been involved with BMX Freestyle since 1985. 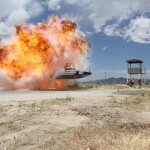 One of the top stunt shows in the nation, clients range from the NBA, Nascar, IRL, and State Fairs to small town festivals, colleges and high schools as well as shopping malls and company events. 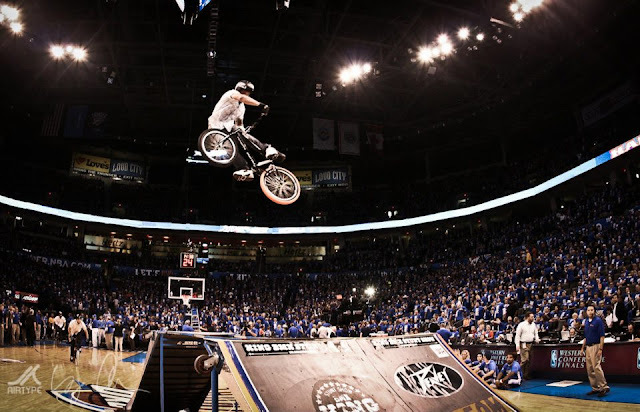 King BMX riders have competed at the X Games, Gravity Games and Dew Action Sports Tour, have been featured on Fox Sports and Monday Night Football, and were featured on multiple episodes of the 2012 season of NBC's America's Got Talent (as the American BMX Stunt Team). Videos of their daring performances can be found at youtube.com/user/kingbmxstuntshow.